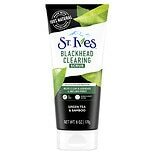 Shop St. Ives Face Scrub Green Tea (6 oz. )6 oz. $579$5 and 79 cents$0.97 / oz. 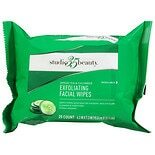 Shop Garnier SkinActive Exfoliating Face Scrub with Green Tea, Oily Skin (5 oz. )5 oz. $899$8 and 99 cents$1.80 / oz. 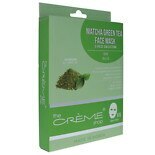 Shop The Creme Shop Matcha Green Tea Sheet Face Mask 5pc Collection (6.25 oz. )6.25 oz. $1199$11 and 99 cents$1.92 / oz. 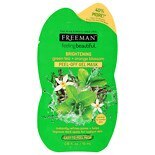 Shop Freeman Feeling Beautiful Green Tea + Orange Blossom Peel-Off Gel Mask (6 oz. )6 oz. $429$4 and 29 cents$0.72 / oz. 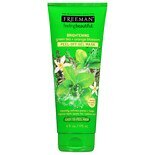 Shop Freeman Feeling Beautiful Green Tea + Orange Blossom Peel-Off Gel Mask (.05 oz. ).05 oz. $199$1 and 99 cents$39.80 / oz.